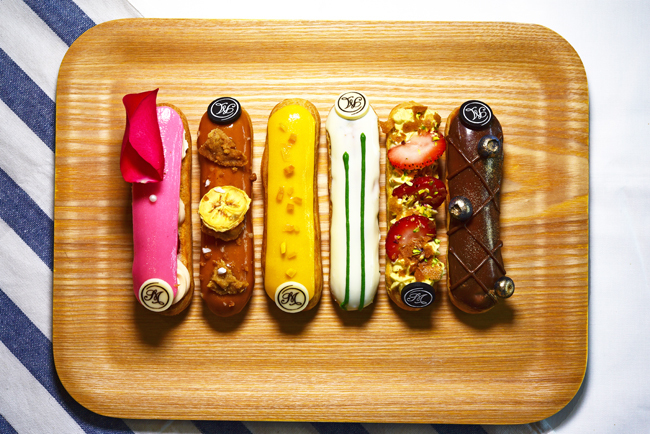 Pretty and colourful éclairs caught us by surprise by making their appearance on social media late last year. 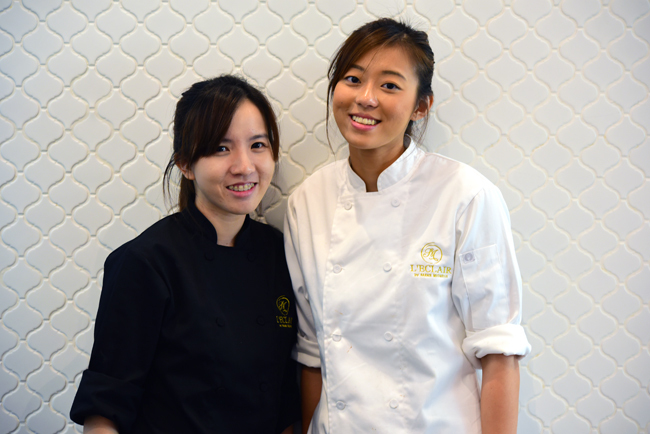 Shortly after, Celebrity Pastry Chef Janice Wong made her debut with her pop- up store at Orchard ION selling her collection of pretty eclairs. 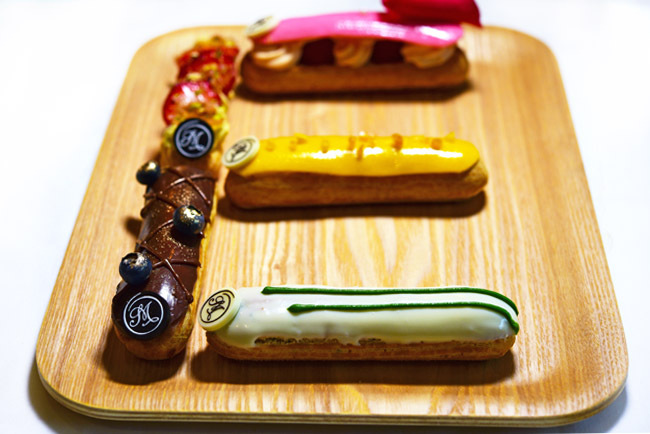 We wondered, if éclairs will be in trend for 2015. 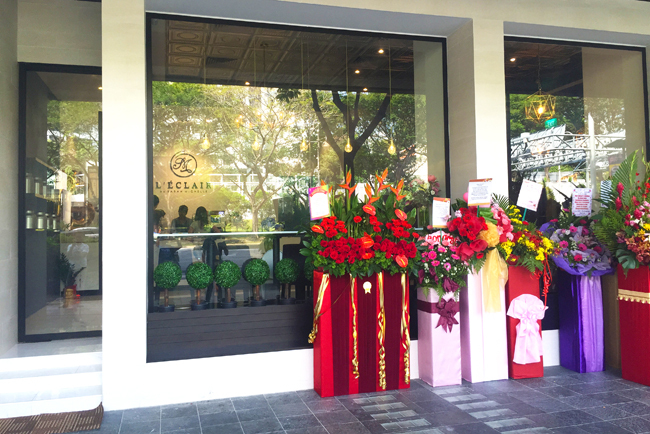 L’ÉCLAIR by Sarah Michelle is opened by 2 graduates from Le Cordon Bleu Paris, Sarah Tan and Michelle Looi. They started off with their online business and subsequent occasional pop-up stalls during the year. It is good to see that they ‘test the market’ before diving into it by setting up a physical café. We vividly remembered their first pop-up held at Three Years in a Balloon and were attracted by their assortment of pretty éclairs then. Instagram-worthy, unique and first of its kind (at least in Singapore then). The interior has a Parisian touch. 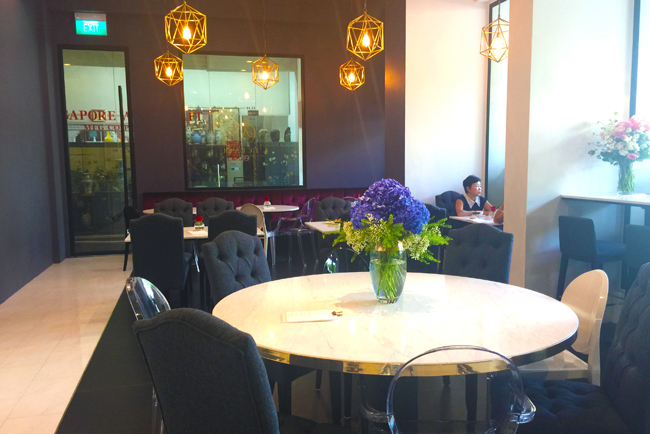 Black and gold, simple and chic, and we felt like rich tai-tais enjoying our afternoon tea. A maximum of 10 flavours are available each day with a price ranging from $7.50 to $8.50 (Woah, there goes my $50 notes if I would like to try all the flavours!). The classic flavours include the Vanilla & Pecans ($8), Dark Chocolate ($8), Salted Caramel ($7.50) and Ispahan ($8.50), which are permanent items on the menu. When asked about the pricing, Sarah explained that they use only French butter and quality chocolates, and much amount of work and labour goes into each piece. It is also a rather technical pastry to produce, in terms of control of humidity and temperature. Only 1 savory item, Chicken & Bacon Pie ($12), is available. Beverages include tea that comes in a 250ml or 500ml pot, coffee and soda. Our favourite flavours were the Matcha ($8), Mango & Passionfruit ($8) and Ispahan ($8.50). 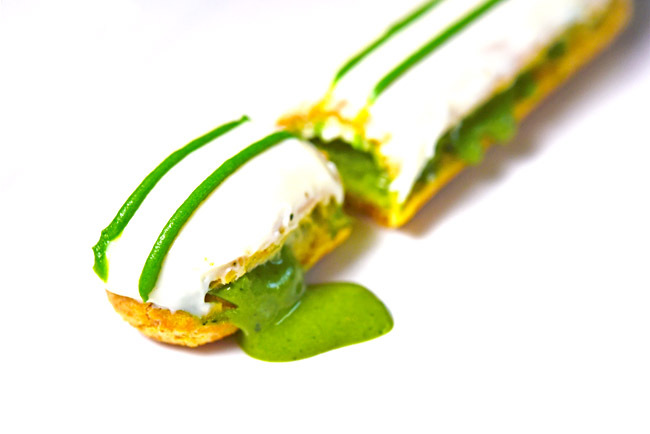 The matcha éclair was rich and not overly intense, with a slight bitterness after taste. As we cut the matcha éclair into smaller bits (they were too long to pop it into our mouths), the liquid matcha flowed out like a lava cake (Let it flow, let it flow, can’t hold it back anymore). The Ispahan ($8.50) was made up of rose, raspberry and lychee, had a distinct floral scent. The layer above the choux pastry was sweet whereas the cream filling within it was subtle (probably too subtle). 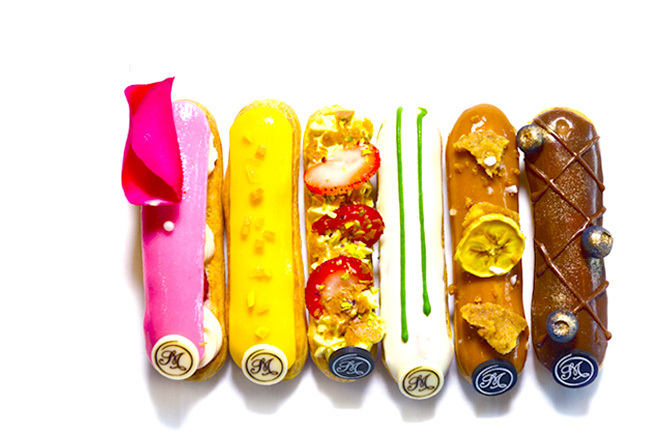 These eclairs were pretty and delicate, though could be pretty expensive and rather niche. We hope to see some local flavors incorporate for a more distinct identity. 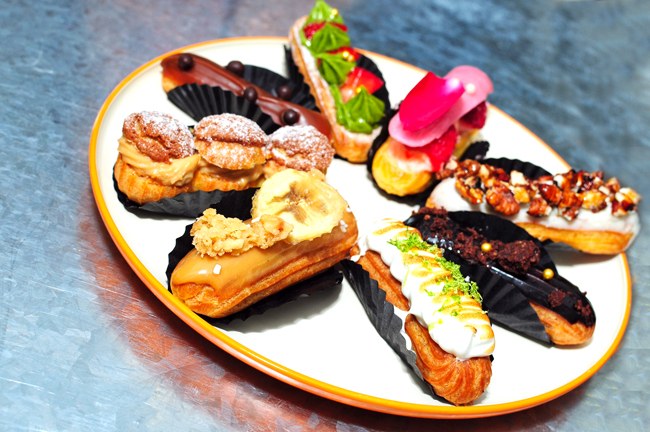 The word “Éclairs” means lightning in the old days, which means to eat it quickly in a flash. Will this lightning brighten up the entire café scene with such a niche product or will it be gone in a flash?